A couple months later, we were in a mutual friend’s wedding together. We talked about the idea again and decided to go on a hike to talk about it. While hiking the hills of Los Angeles, we hashed out the basic points of what is still our show and got an idea for the final duet. 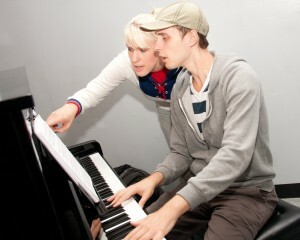 We immediately went back to my apartment and started writing a duet on a keyboard, having never written together. 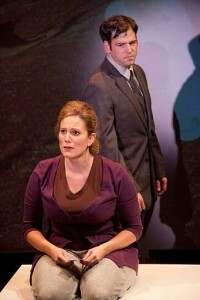 What followed was 48 hours of intense and obsessive work – culminating in a duet that we were uncannily confident in. After a reading in New York, we premiered as part of the New York Musical Theater Festival, where we were named a Backstage Critic’s Pick. Read the review here. 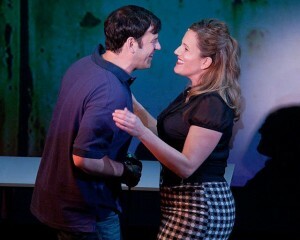 Below are some stills of Kasey Marino and Kristy Cates in this fantastic production. 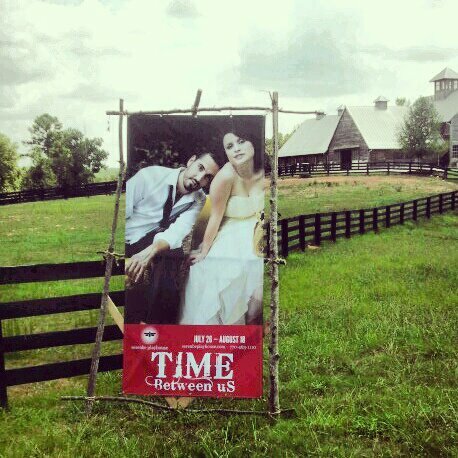 Time Between Us is now performed in regional productions across the country. 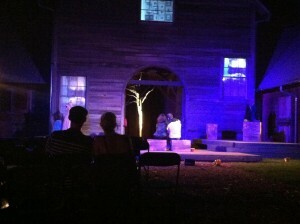 Here is a picture of tech rehearsal for a gorgeous outdoor production of it at Serenbe Playhouse. 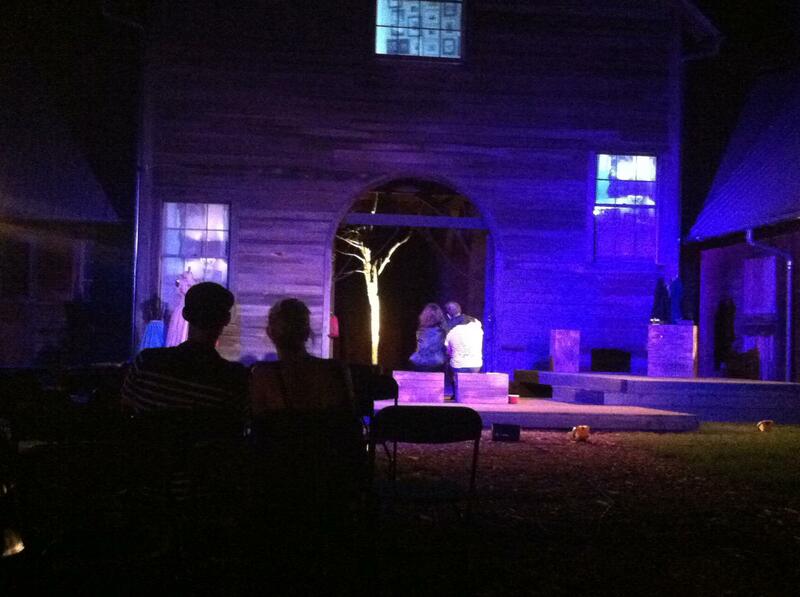 Those shadows in the audience are Brett and I, watching the characters we created rehearse.